Pippa Mann secures deal with Dale Coyne Racing to contest her seventh Indy 500 in 2018. Pippa Mann will contest the Indianapolis 500 for a seventh time in 2018, having sealed a deal to return to the grid with Dale Coyne Racing. 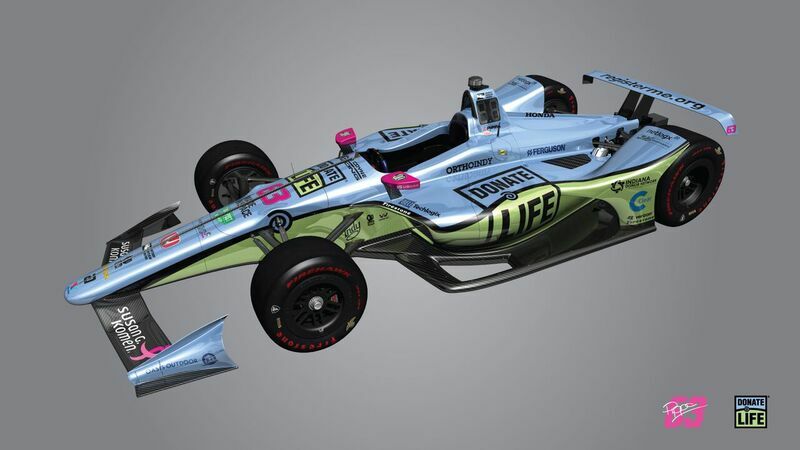 It will mark her sixth Indy 500 entry with the DCR squad, with Mann receiving a boost with the addition of new primary sponsor Donate Life Indiana. She will join regular DCR driver and St. Petersburg winner Sebastien Bourdais for the 102nd running of the prestigious oval race, along with part-time entrants Pietro Fittipaldi and Conor Daly. “I am honored to have been asked to drive the Donate Life car this May, and to partner with Donate Life Indiana as an ambassador to raise awareness on our mission to help reach even more Hoosiers through our education efforts,” Mann said. “This is obviously a campaign with a pretty deep personal meaning for me, and I am humbled to have the opportunity to join the racers carrying this cause forward. Mann recorded her best result at the Indy 500 last year with a 17th place finish. Team owner Dale Coyne said he is excited to welcome Mann back to the squad. “We’re very happy to welcome Donate Life Indiana to the team through their partnership with Pippa. It will certainly be different to see her in new colors this May, but it’s also very exciting,” he said.